The Seabourn Odyssey has many exhilarating activities for you to enjoy! Enjoy the view from bow while relaxing in a whirlpool and enjoying chilled chapagne; there are golf putting competitions, dance lessons, and more! 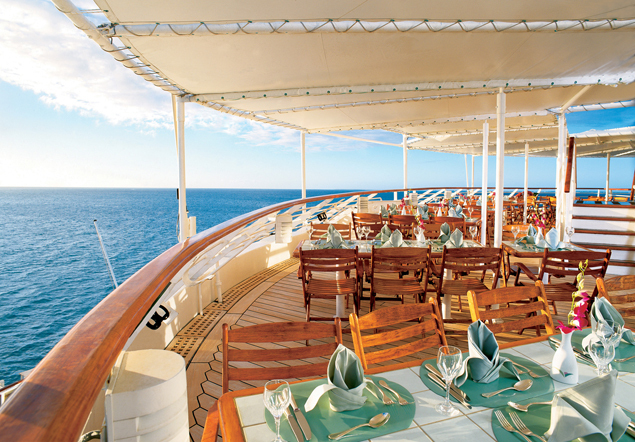 Enjoy each port of call in style, as the Signature Service Desk will help you plan the perfect day on shore! If you'd like to enjoy the water, each ship is built with its own marina so you can go straight into the ocean from the ship without ever setting foot on shore! Head to the spa, and you can indulge yourself in bodily pleasures - enjoy different types of massage and melt away your stress! The Spa at Seabourn was rated one of the Top Cruise Line Spas in Conde Nast, so you know that you'll enjoy the warm stone treatments, facials, and wraps! There is also a fitness center with daily classes including yoga, Pilates, and more! Once you've satisfied your craving for activity, try the hair salon, where you'll be pampered and prepared for a romantic evening at the ship's restaurants! 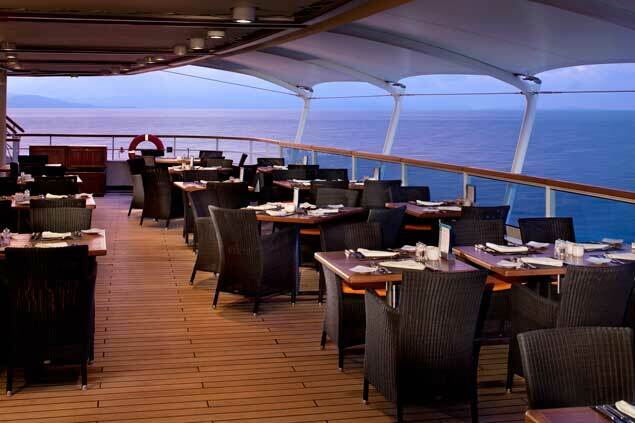 Seabourn Odyssey offers four unique ways to enjoy each meal during your stay on the ship. You'll find delicious dishes ranging from gourmet American fare to grilled favorites - and a different atmosphere in each restaurant! The Colonnade: A more casual alternative with indoor/outdoor seating, sumptuous buffets and daily specials for breakfast and lunch. 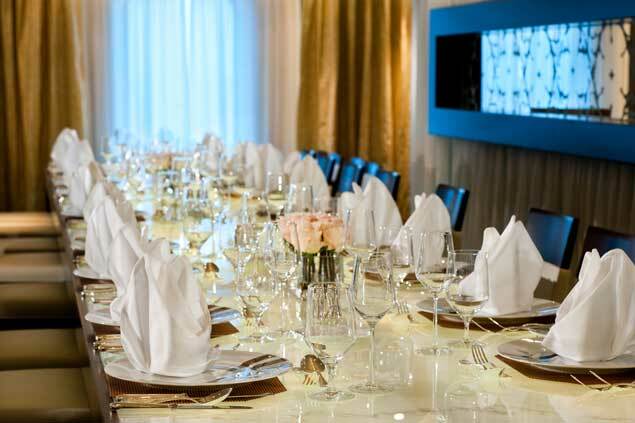 The Colonnade serves regionally-themed, bistro-style dinners with table service nightly aboard Seabourn Odyssey, Seabourn Sojourn and Seabourn Quest. The ship also has room service with a gourmet menu available around the clock! 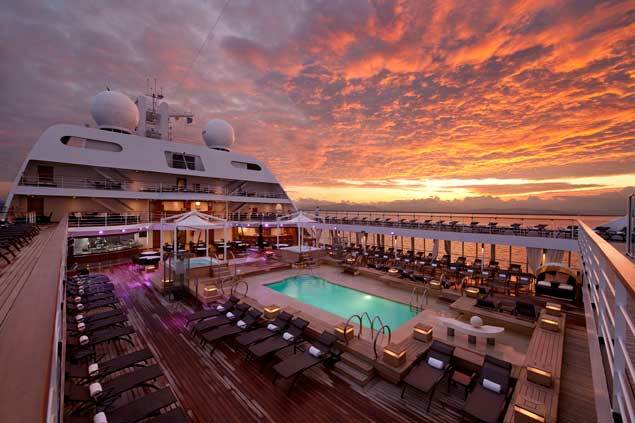 As the evening approaches, you'll find that there are still many different things to enjoy on the Seabourn Odyssey! Sip champagne as you sit under the stars enjoying the weather, or watch a first run movie during Movies Under the Stars - complete with fresh popcorn! 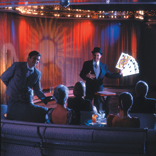 Head from the deck to the Sky Bar, where you can swing to the rhythm of a live six-piece band, or dine at your leisure in one of the gourmet restaurants! 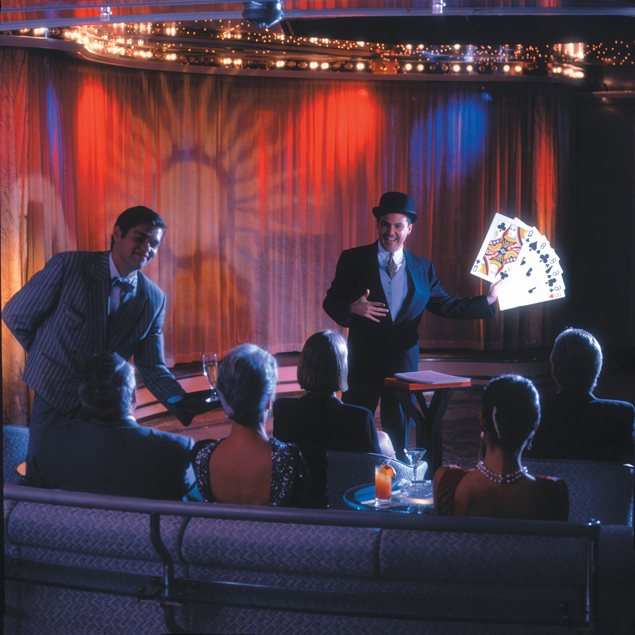 The Observation Lounge also provides live music for you to enjoy, or you can play your favorite card games in the Casino! 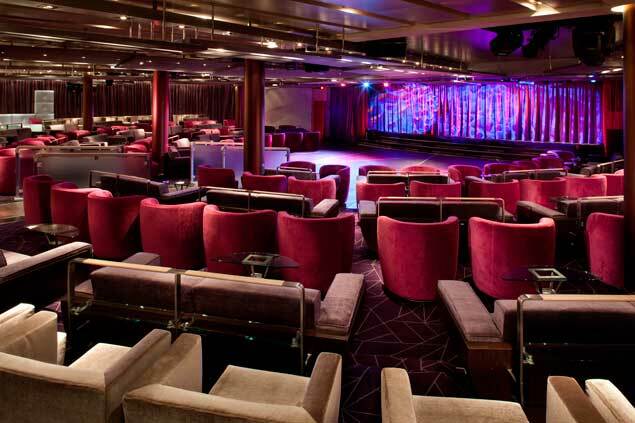 The Club will provide a great atmosphere to dance the night away, or you can also enjoy a live comedian or Broadway Revue at the ship's lounge. Every night will bring unforgettable memories!